A refreshing soup hailing from the fertile rivers of the Mekong Delta. Herbs are a tricky ingredient. They can make or break a dish. Too little and the dish is bland and boring. Too much and it’s like your eating the entire contents of your granny’s medicine cabinet. It is with this reason that I absolutely refuse to buy my herbs from supermarkets. They are more than likely incubated in hothouses and can be fed with a host of unsavoury pesticides. They are often bland and twice the size that they should be. I want my herbs to be burgeoning in the full blaze of the sun and their roots soaked with rainwater. Therefore I know that the flavour that graces my dishes are what they intended to be… natural. 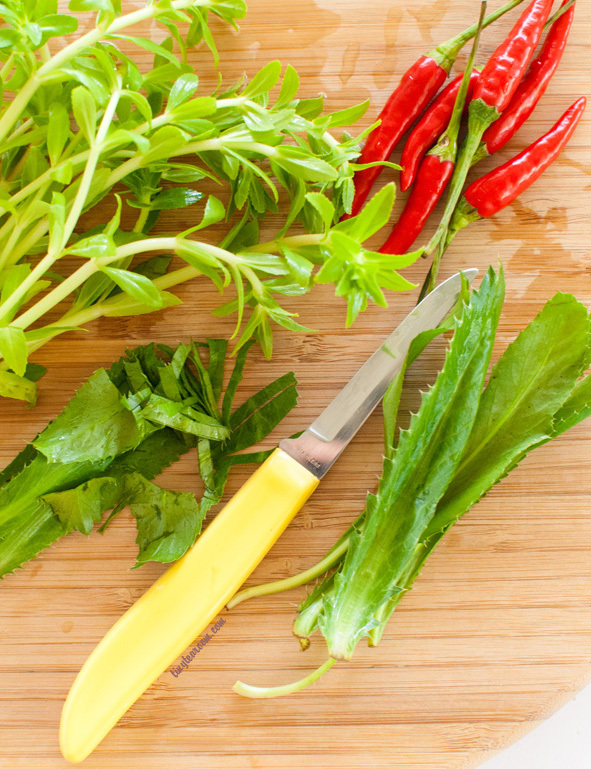 Here in this refreshing soup from Vietnam, I made sure that the herbs used were grown in more natural conditions. It is important that the vibrant citrusy notes from the rice paddy herb and sawtooth coriander come shining through. On the bustling streets of Cabramatta (Sydney, Australia) you can find sweet little old ladies setting up makeshift stalls to sell homegrown fruit and vegetables. The very same produce that they use to make their meals for their families. Another ingredient that I purchased from these enterprising ladies is the elephant ear stem (Bac Ha). Its unusual name is from the shape of the leaf, though only the stem is consumed as the leaf can be toxic. 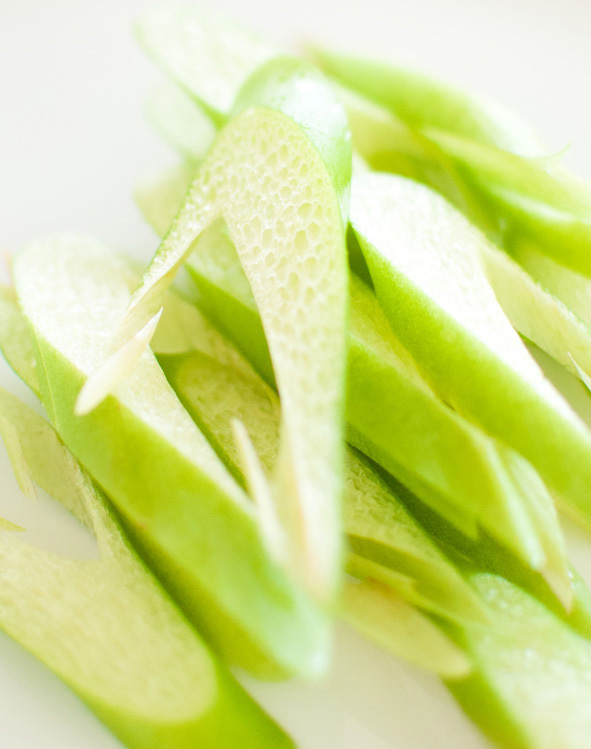 Its sponge-like stems soak up the fresh flavours of the soup and adds to the textural richness of the dish. Hailing from the fertile rivers of the Mekong Delta in South Vietnam, this soup is rich in history and nutrients. It is quick to make and created for all you seafood lovers out there. 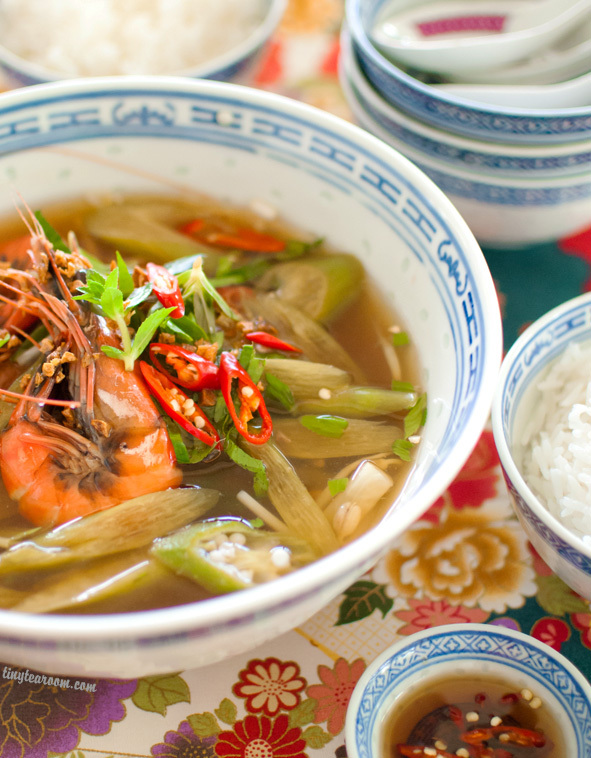 Serve this soup with rice and dip its contents into a side dish of fish sauce. Place peanut oil and garlic in a small frying pan over medium heat. Once the garlic turns golden pour the oil into a small glass bowl. Allow to cool. Bring the water to a simmer in a saucepan. Add the tamarind paste and palm sugar. Stir gently until the paste and sugar dissolves and the stock comes to a boil. Add the pineapple and okra, allow to simmer for a minute. Add the prawns, once the soup comes back to a simmer take the pot off the heat and add the elephant ear stem and tomato. Place the bean sprouts in a large soup bowl. Gently pour the soup over the bean sprouts. Sprinkle some rice paddy herb and sawtooth herb over the soup. Also, pour a tablespoon of the garlic oil over the soup. Serve with side dish of fish sauce with chopped chilli (optional) and bowls of rice.